Story Time: Screen Free Week Kickoff! Saturday, May 3, 11:00 AM Story Time: Screen Free Week Kickoff! Screen Free Week (May 5 – 11) is an international celebration where children, families, schools, and communities spend seven days turning OFF entertainment screen media and turning ON life! It’s a time to unplug and play, daydream, create, explore nature, spend time with family and friends – and of course, read! We’re celebrating with a story time featuring some of our favorite books about the screen free life, including Dan Yaccarino’s Doug Unplugged, about a robot boy who discovers what’s beyond the data feed, and Lane Smith’s It’s a Book, in which a monkey teaches a donkey about this strange bit of non-electronic technology. We’ll also be handing out Screen Free cards, which kids can fill in with their screen-free activities during the week – bring them back completed after May 11 for a $5 Greenlight gift card! Ages 3 to 8. Screen Free Week is a nationwide effort to encourage children and their parents to ignore their TV and computer screens for seven days and instead celebrate all the other ways there are to have fun, including reading picture books. With Tad Hills for Rocket Writes a Story, Chris Raschka for Everyone Can Learn to Ride a Bicycle, Bob Staake for Bluebird, and Dan Yaccarino for Doug Unplugged. Ages 5 - 8. 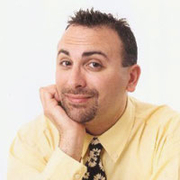 Dan Yaccarino is currently considered a "single author." If one or more works are by a distinct, homonymous authors, go ahead and split the author. Dan Yaccarino is composed of 2 names. You can examine and separate out names.